Make your own fresh O.J.! 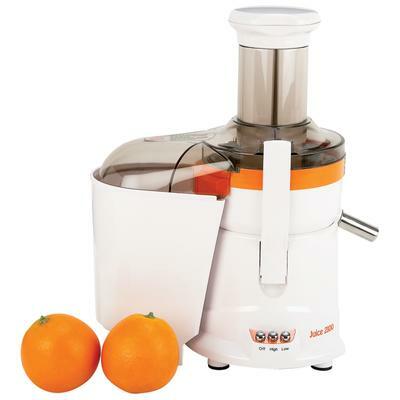 A high performance juice extractor that is an excellent choice for a kitchen accessory item. The Juice 2100 High Performance Juice Extractor Set has sleek styling that fits in any decor. The chute and basket, stainless steel blades, and safety locking system are desirable features in this product. Stainless steel blades and spout Are durable and rust resistant. Safety locking system Is desirable to prevent injury. Basket Holds a large quantity of juice.